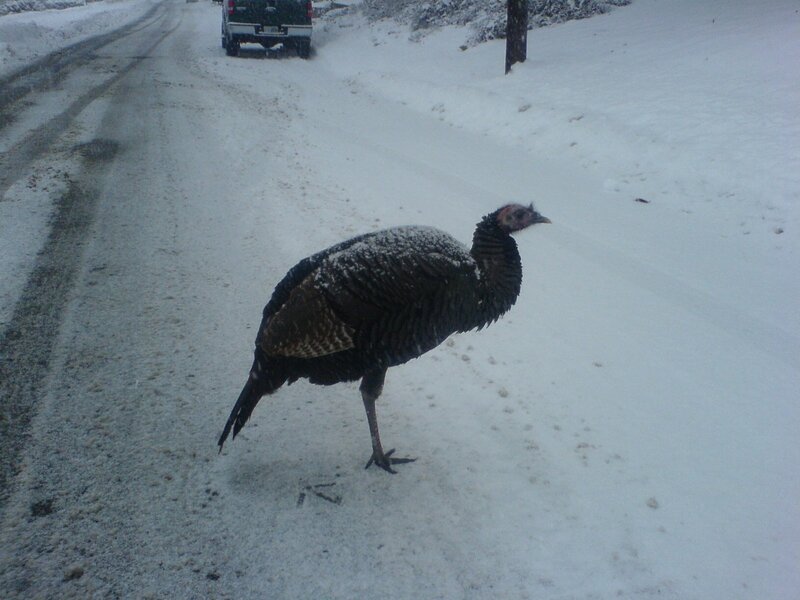 I got out of the car and got pretty close, like waaaaaay closer than I think turkeys should let you get. They are BIG. Maybe they’re dumb, but I wasn’t about to prod this thing and have it freak out and peck my head. Maybe that’s not even possible. Here’s what I know about turkeys – I eat them. The last two I saw were on the side of a road when I was running near St. A’s. You know what those turkeys did? They RAN AWAY. This one did not do that. He was kind enough to allow us to drive around. 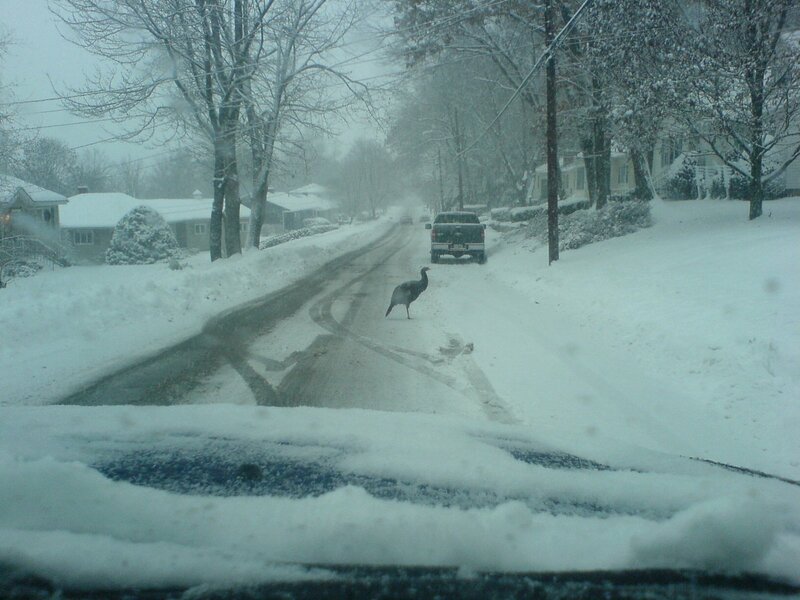 Woah, I saw a turkey on Bridge St., across from Trinity not too long ago. Wonder if it’s the same one.